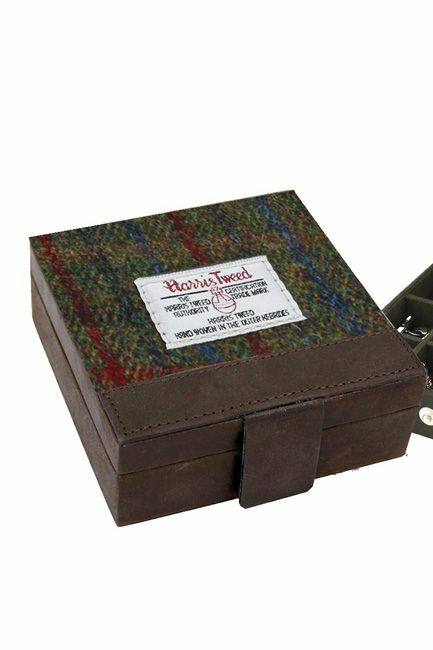 Harris Tweed Earring, Jewellery, Cufflinks and Watch box. 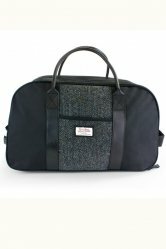 Sold in British Bag Company Presentation Box. 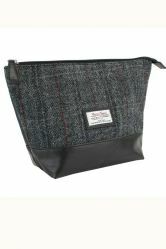 It makes a lovely unisex gift, to store a wide range of items from cufflinks to earrings. 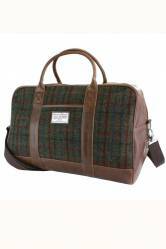 In this range there is also a matching holdall and a washbag, please see links at the bottom of the page. 1 long compartment for a watch.